Warner Bros. has reportedly cancelled all upcoming DLC for Batman: Arkham Origins. 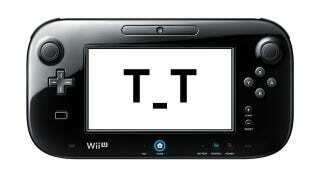 Seems the poor Wii U just can't catch a break. Companies cancelling games (or failing to announce ports) for the console is bad enough, but not even bothering to bring over DLC? That's some of the easiest money to be had in video games, and a sure sign that Warner is about as unhappy with the console's performance as a third party can get. Thanks so much for your support of Batman: Arkham Origins on Wii U. We are contacting you today because you purchased the Batman: Arkham Origins Season Pass for Wii U. We hope you've been enjoying the content that has been delivered thus far. Based on demand for Downloadable Content on the system, Warner Bros. Interactive Entertainment has made the decision to remove its offering of the upcoming new story campaign for Wii U. As a result, we will be crediting the entire $19.99+tax cost of the Season Pass back to your Nintendo eShop account. You will still be able to enjoy the content already released thus far. We apologize for any inconvenience this may cause and thank you for your support of the game. Sincerely, Nintendo of America Inc. So...you get your money back. There's that, at least. I wonder just how bad the demand really was for Warner to not even bother. We've contacted Warner for comment, and will update if we hear back.